Hardcover, 7.75 x 10 in. / 160 pgs / 80 color. Text by Nikola Dietrich, Jacob Lillemose, Kassandra Nakas. 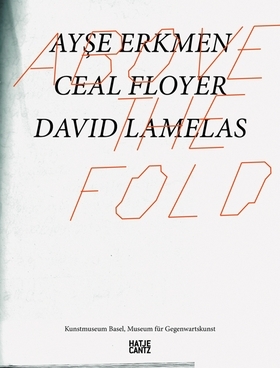 This exhibition catalogue features Ayse Erkmen, Ceal Floyer and David Lamelas. Erkmen's installations interpret socially and historically implicit architecture, while Floyer's light projections, videos, photographs and sculptures seem to lack underlying themes. Since the 60s, Lamelas has explored the hybrid character of the exhibition venue. FORMAT: Hbk, 7.75 x 10 in. / 160 pgs / 80 color.